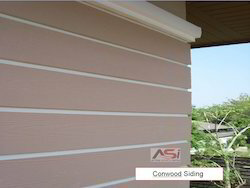 Conwood Siding gives the exterior of any building a classic natural profile that's safe from the threat of decay and termites. This decorative Product resembles real wood but has a lasting beauty to it that can endure any weather conditions. Note : Product price range from Rs 50 To Rs 250 per Square feet. Conwood sunshades are a stylish way to screen and protect areas of your home from the sun. The natural gouging pattern on this Conwood Product gives your home an elegant and modern appearance. Protect your home with a Conwood Fence, a strong and sturdy product that requires much less maintenance than real wood. 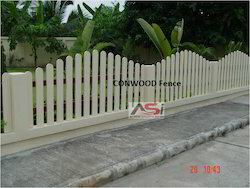 This easy to install fence provides security for your property while giving your home an elegant and natural boundary. Install a Conwood Decorative Deck over concrete to give any interior or exterior space the elegant appearance of wood flooring. This beautiful and easy to install product is a great and durable solution that helps keep high moisture areas free from both insect infestations and decay. 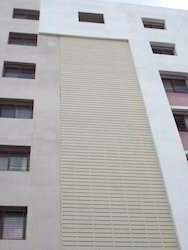 Note : Product price range from Rs 200 To Rs 500 per Square feet. 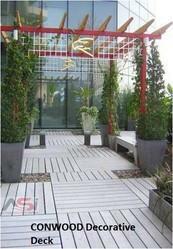 Looking for Cement Fiber Planks ?